Nuala Woulfe Beauty: Electrolysis The Facts. Electrolysis is the only method of hair removal approved as permanent by the FDA (Food and Drug Administration in USA). The British Advertising Standards Authority has given permission to state that electrolysis is permanent hair removal in advertising. Other hair removal methods do not remove hair permanently. Laser and IPL treatments, which use light, are FDA approved for hair reduction, not permanent removal and these treatments are ‘discriminatory’ against some hair and skin colour. Electrolysis is ‘non-discriminatory’ as any hair colour on any skin, on any part of the body can receive an effective treatment. Hair removal using electrolysis for ‘cosmetic’ reasons has been around since the early 1900’s, having been initially invented within the ophthalmology field in the early 1870’s for the permanent removal of in-grown eyelashes. Electrolysis is often described as ‘Progressively Permanent’ because it requires a series of treatments to achieve permanent results, as each follicle needs to be treated a few times throughout its cycle of growth. In the 90’s when IPL & laser treatments were being introduced for hair removal there was alot of interest in the new and exciting technology and electrologists who tired of the somewhat lengthy, albeit permanent, electrolysis treatment began to offer these light treatments which showed such early promise. IPL and laser practitioners are now realising they need to add electrolysis to their treatment menu to enable them to treat all hairs, on all skin colours, on all parts of the body, permanently. 1. What is the technique of Electrolysis? Electrolysis involves permanently removing each individual hair using a fine sterilized disposable probe and a minute amount of electrical current. The probe, about the diameter of the hair, slides into the natural opening alongside the follicle. A micro amount of electrical current is applied; just enough so that the hair can be removed and the skin is not harmed. Electrolysis can be performed on all skin and hair types. It can also be performed on males, females and children as young as ten. * Please note that parental consent is needed for individuals under 16. A consultation will give you an idea of how many appointments you will need to achieve permanent results. It is important to follow the recommended treatment plan to achieve optimum results. 3. What causes the growth of unwanted hair? 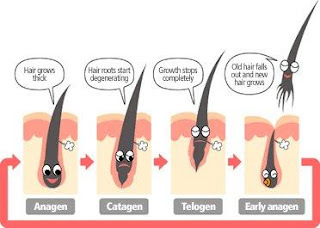 Heredity is the key culprit to excessive hair growth. Any influences on the glandular or endocrine systems, normal or abnormal can also produce unwanted hair. Normal changes in the women such as puberty, pregnancy and menopause can cause a sudden increase of hair. Abnormal changes such as illness, medication, stress may cause superfluous hair as well. 4. What areas of the body can electrolysis be done on? Electrolysis can be done on any part of the body with the exception of inside the ears and nose. A medical overview will be done at the consultation to make sure that there are no allergies or medical issues that could complicate treatment. There will be a heat sensation when the current is applied. The sensation should not be a deterrent as it is minimal and the end result will be well worth any small amount of discomfort. Overall, electrolysis is tolerated well. 6. How long does electrolysis take? A series of regularly scheduled appointments is necessary to reach permanency. Typically, a client would come weekly or biweekly to start. As treatments progress, sessions become less frequent. Electrolysis requires your faithful commitment to reach desired results. With the amount of money and time spent on depilatory creams, shaving, waxing, tweezing in one’s lifetime, it is well worth the cost to get it removed permanently. 7. What will my skin look like after an electrolysis treatment? You may experience slight swelling or redness of the skin on the treated areas and this usually disappears within a few hours. This is perfectly normal. Occasionally, slight scabbing, which is a natural part of the healing process, may appear after treatment. A complete list of aftercare instruction will be available to you at the consultation. 8. What about other methods of permanent hair removal? Other methods of hair removal such as waxing and tweezing can potentially stimulate new growth and make hairs stronger and coarser. Laser hair removal can only at best be determined as "permanent reduction" and only works on certain hair and skin types effectively. Many clients seek electrolysis to get rid of the rest of the hair after laser sessions. Electrolysis is the only PERMANENT solution. "ther methods of hair removal such as waxing and tweezing can potentially stimulate new growth and make hairs stronger and coarser." Hi, wasn't that attributed to shaving? Still mostly a myth in that case too, with a very tiny nugget of truth at most :).